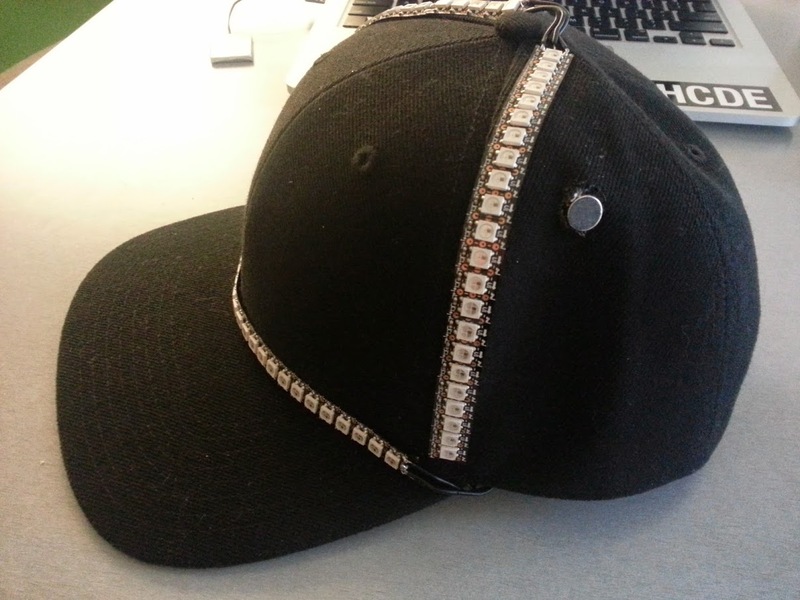 For the last work week of class I first tested the LEDs on my hat to make sure that they lit up, which they did not. For some reason the first LED would not light up and the LEDs would not turn on unless I applied pressure to the wires connecting the beginning of the NeoPixel strip. After cutting the first LED light off the problem was fixed. Then I started to write the code for the temperature sensor which I could not figure out how to do with the Flora. With time running low, I had to switch back to my initial idea of doing a volume meter hat. 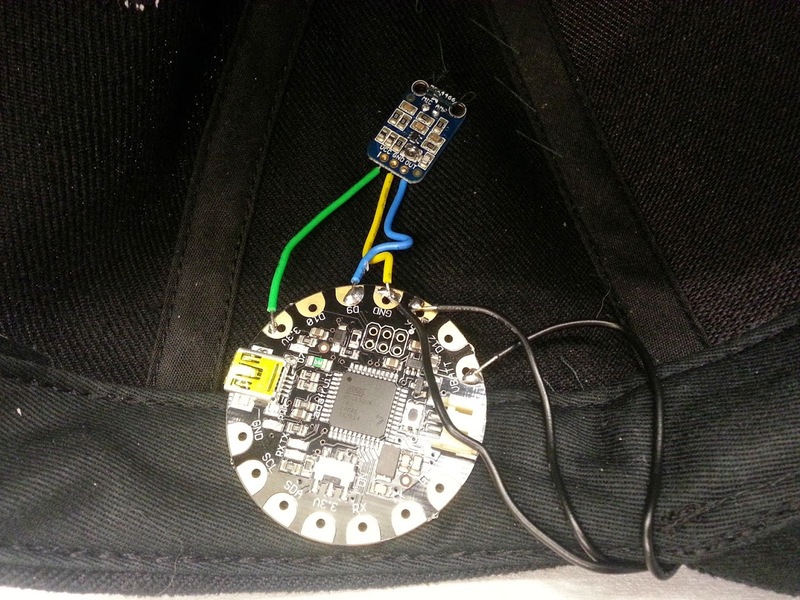 I plan to add the temperature sensor to my project in a later time though this summer. After soldering the mic amplifier to the flora, cutting a small hole in the hat for the amplifier to stick through, and sewing the amplifier to my hat, I finished my project and it is ready to go!